This book discusses the development and application of green chemistry in the oil and gas exploration and production industry over the last 25 years — bringing together the various chemistries that are utilised for creating suitable environmental products. Written by a highly respected consultant to the oil and gas industry — it introduces readers to the principles and development of green chemistry in general, and the regulatory framework specific to the oil and gas sector in the North Sea area and elsewhere in the world. It also explores economic drivers pertaining to the application of green chemistry in the sector. Topics covered in Oilfield Chemistry and its Environmental Impact include polymer chemistry, surfactants and amphiphiles, phosphorus chemistry, inorganic salts, low molecular weight organics, silicon chemistry and green solvents. It also looks at sustainability in an extractive industry, examining the approaches used and the other methodologies that could be applied in the development of better chemistries, along with discussions about where the application of green chemistry is leading in this industry sector. 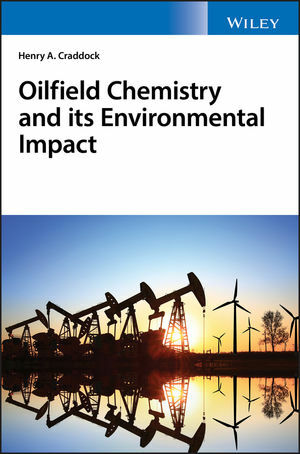 Oilfield Chemistry and its Environmental Impact is an excellent book for oil and gas industry professionals as well as scientists, academic researchers, students and policy makers. Henry A. Craddock, PhD, is a private consultant and qualified professional chemist with over twenty-five years' experience in the upstream oil and gas industry, particularly in the application of chemistry to oil and gas drilling, development, production, and related problem areas. He is also a Fellow of the Royal Society of Chemistry, a Chartered Chemist and a Member of the Society of Petroleum Engineers.